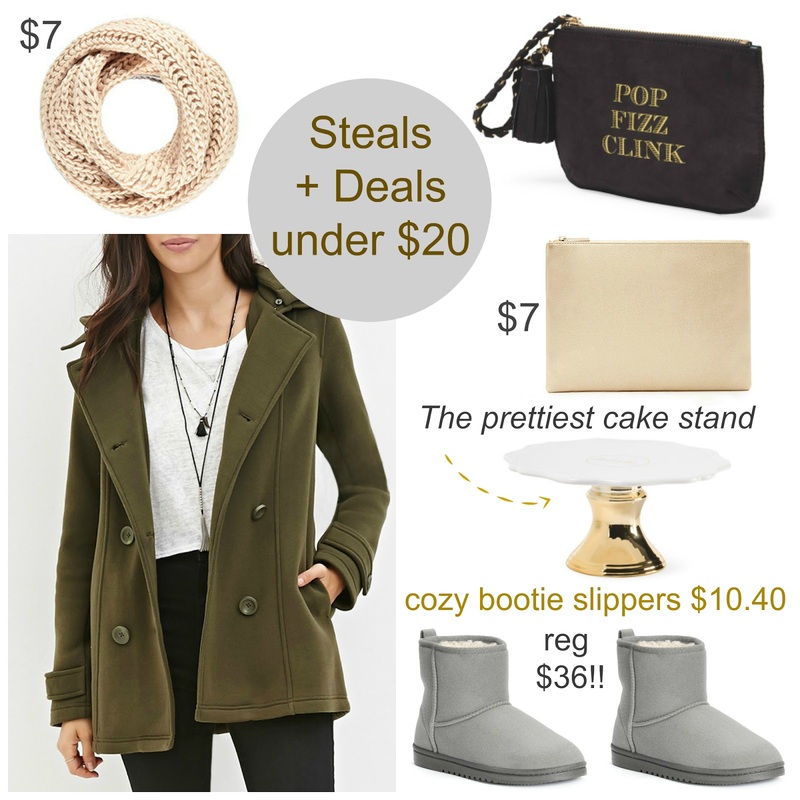 Tracy's Notebook of Style: Steals + Deals under $20 + Cyber "Tuesday" Deals to Shop! Steals + Deals under $20 + Cyber "Tuesday" Deals to Shop! It's no surprise that many of the "one day" Cyber Monday deals were extended, giving us more time to score gifts on major sale and try to enjoy the holiday season without last minute shopping stress. I'm focusing on T.J.Maxx and ordering a few items to take advantage of free shipping on items I haven't been able to find at my local store and Forever 21 adding new deals! F21 always has the best deals on scarves! You can't go wrong finding $20 jackets and again, F21 has some really nice ones for the price. All of the sudden I'm seeing this Kate Spade phrase everywhere and this is too cute, especially for a New Year;s celebration. These simple chic bags have an upscale look for less, similar in style to Marc Jacobs thanks to the hardware. I wanted to make sure to share this beautiful cake stand since you can now order it online! It's beautiful and a steal in my opinion. Looking for an affordable version to UGGS? While these are for "indoor" wear, they will keep you warm and cozy. 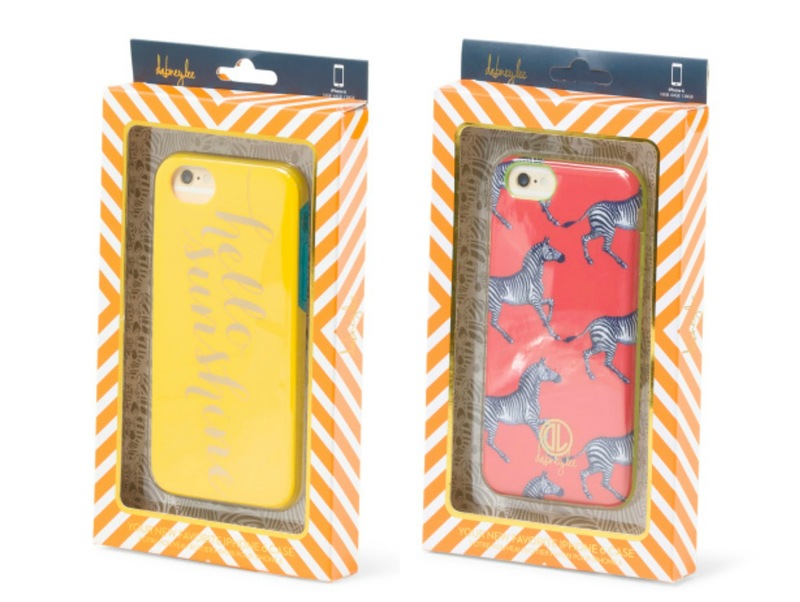 T.J.Maxx has the cutest Dabney Lee Phone Cases for only $7.99! Charming Charlie All Lockbox Handbags $25 here + $10 apparel deals here + Free Shipping on all orders ends today! Forever 21 Cyber Monday deals here up to 70% off! Kohl's Extra 20% off with code DEALSEEKER // $10 off $50 Bed and Bath purchase with code with code CUDDLEUP // Free Shipping with $25 purchase - no code needed. 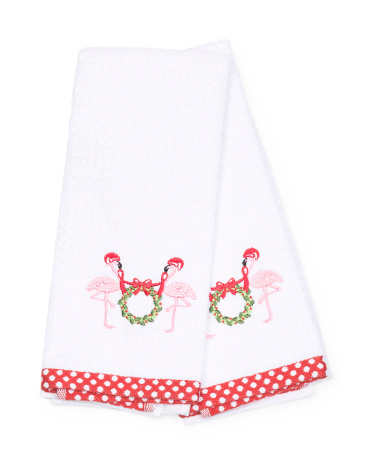 T.J.Maxx Store Pics: Holiday Gift Ideas!